A complete review of technical theories on engine maintenance, wheel alignment, wheel balancing tire changing, and air-con and refrigeration systems. Briefing on the features and proper use of equipment. Power-Chek, handles the installation of all equipment; assists customers in the preparation of shop layouts. Upon request of the customer, the company assists in the preparation of feasibility studies. Power-Chek has the fully trained technicians with proper tooling for each automotive repair and maintenance equipment you need. The equipment warranty period to the original owner against defective material and workmanship is one year from date of purchase. Bulbs, vacuum tubes and fuses are warranted for 90 days only. technicians shall be charged to clients. 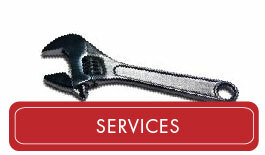 After the warranty period, Power-Chek offers maintenance contracts to equipment users.